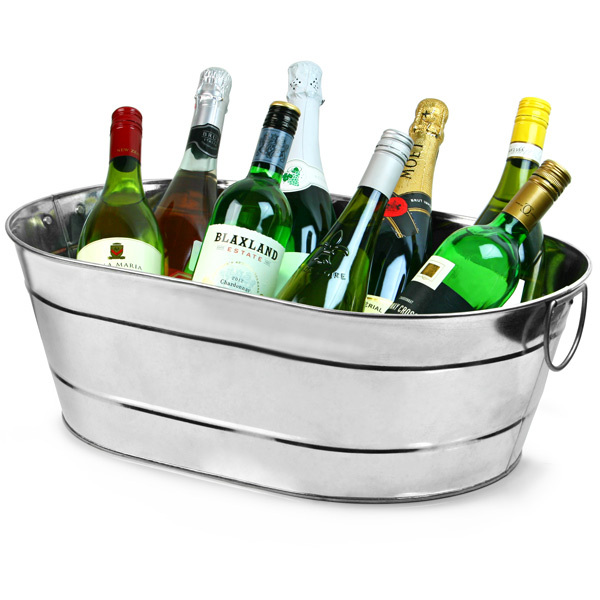 No party is complete without your drinks presented in a Galvanised Steel Oval Party Tub! With all your bottles and cans perfectly chilled in ice, you can relax and enjoy entertaining your friends or family. The ultimate addition to any party, BBQ or evening in, this drinks cooler is at home anywhere. 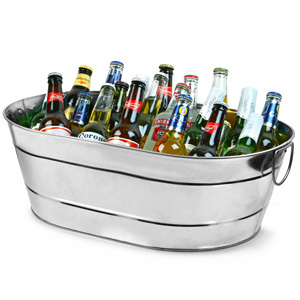 Simply fill with ice, bottles of beer, wine or champagne and mix in some cans of soft drink. This laid-back drinks service allows your guests to effortlessly help themselves, making the hosts job easy. "Arrived really quickly and was a great party accessory." 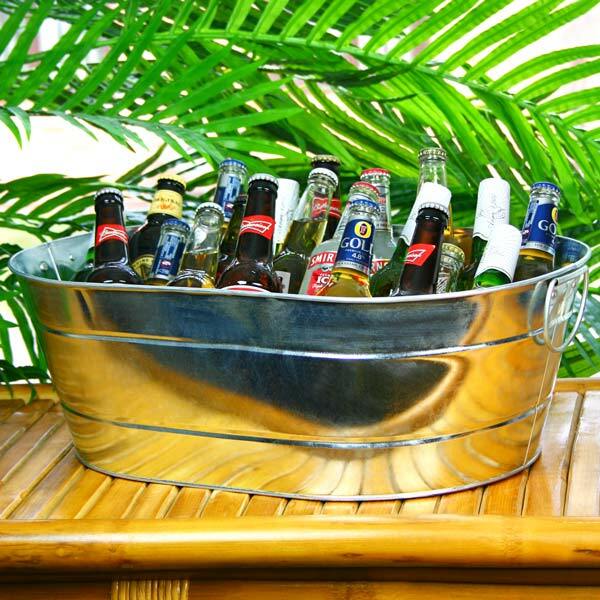 "Pleased with this item it is what it says it is and it is a decent size, light weight and ideal for keeping drinks cool"
"This tub is a great size and will easily hold 15-20 beer bottles. It doesn't quite seem sturdy enough to be able to carry that weight around but if you place it where you need it and then fill there are no issues. I didn't fancy trying what would happen if I did lift it up but it may well hold up to it. Looks stylish for any party and I'd recommend." 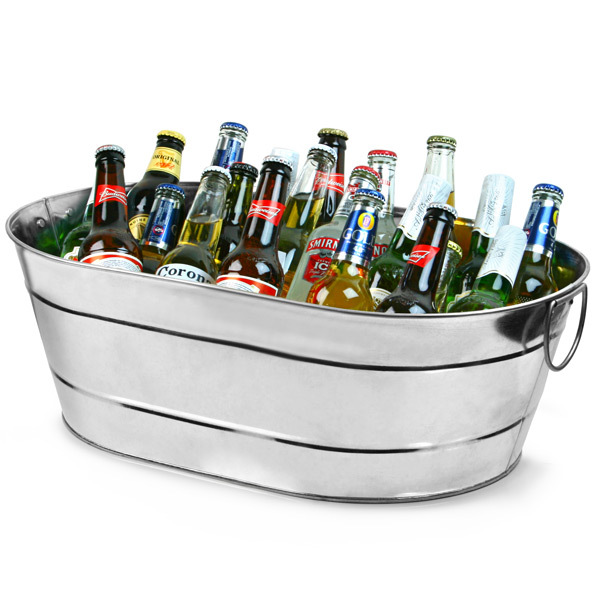 "This metal bucket was perfect for us to use as a gifting basket. The recipient thought it was fantastic! A nice vintage feel to it."